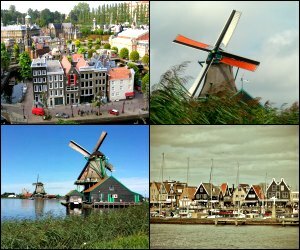 These best day trips from Amsterdam by comfortable coach bus will take you around the most picturesque parts of Holland and Europe. Just decide where YOU want to go on your vacation in Amsterdam - You can go on a day trip to Zaanse Schans to see the famous Dutch windmills, admire Keukenhof Gardens and Tulip Fields, explore fishing villages of Volendam and Marken, watch how cheese is made or travel from Amsterdam to the other European cities such as Brussels and Bruges in Belgium. Each year during a limited time of eight weeks, the Keukenhof Gardens and Tulip Fields come alive with seven million spring bulbs, hyacinths, tulips and daffodils. 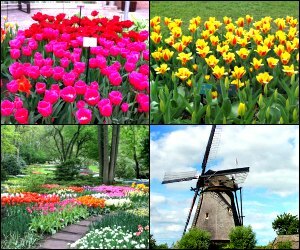 These five hour long day trips from Amsterdam will take you to explore the Keukenhof Gardens and Tulip Fields and admire the riot of colors on display. This seasonal display is one of the top attractions in Holland and attracts thousands of tourists each year. The garden also has beautiful art works and sculptures. This wheelchair accessible tour is only seasonal and will depend on weather conditions. The air-conditioned coach will take you through the gorgeous countryside where you'll see beautiful tulip fields and lush green countryside along the way to the fields. The tour is led by a knowledgeable guide. These SUPER SAVER 9 and a half hour long day trips from Amsterdam will combine three valuable trips in one - City Tour, Marken and Volendam and the Zaanse Schans Windmills! Travel by bus as your professional guide will take you to some of the best attractions of Amsterdam. The city sightseeing tour will take you to see some of the famous historic buildings of the city like the traditional houses on the canals, Albert Cuyp Market and the Royal Palace. Marken and Volendam are traditional fishing villages where locals still live a traditional life and life in beautiful wooden houses. You'll also be able to visit a cheese farm to see who cheese is made the traditional way. Drive through the beautiful countryside to see the famous colorful windmills in Zaanse Schans. These super saver day trips from Amsterdam combine two different tours in one. 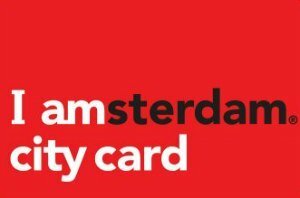 The Amsterdam sightseeing tour will take you to visit some of the most well known attractions in the city on board an air-conditioned coach. Travel with a professional guide as you visit attractions like the Albert Cuyp Market, canals, Skinny Bridge, National Monument and Royal Palace. You'll also visit River Amstel to see a windmill and visit a diamond factory. 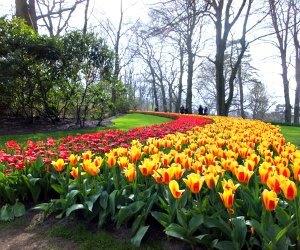 Take a lunch break before heading out to the Tulip Fields and Keukenhof Gardens. Each year in spring, this beautiful garden comes alive with millions of tulips, bulbs, hyacinths and daffodils. You'll be able to walk through the winding paths of the massive garden and admire the flowers, the ponds and the streams. 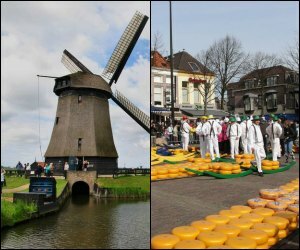 With these Super Saver day trips from Amsterdam, you'll be able to visit the beautiful windmills, Madurodam, The Hague and the Delft at a very affordable price. The tour begins in the morning with a visit to the fishing villages of Volendam and Marken where you'll visit a cheese factory and the see the traditional wooden houses of the locals. You'll also visit the beautiful and colorful Zaanse Schans windmills. In the afternoon, your guide will take you to Delft, a beautiful town where the Delft pottery is made. 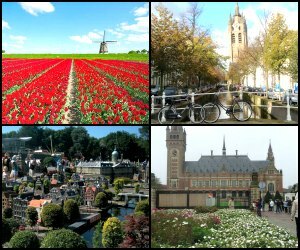 Next, you'll be visiting The Hague, Netherland's former capital. Here you will be able to visit important landmarks such as Binnenhof and the Peace Palace. End the day with a visit to the Madurodam miniature town. These half day long day trips from Amsterdam will take you through the beautiful Dutch countryside to explore the famous Zaanse Schans windmills and the fishing villages of Voldendam and Marken. 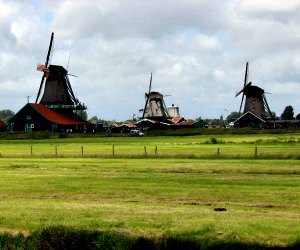 The trip will take you in a luxury coach through beautiful landscapes to the historic shipyard, original buildings and the windmills of Zaanse Schans. You'll also be able to visit Volendam to see the traditional boats and meet locals with their colorful dresses. Visit a cheese factory and take a boat (in summer) to visit Marken to see the traditional wooden houses and a local shoemaker to see how clogs are made. 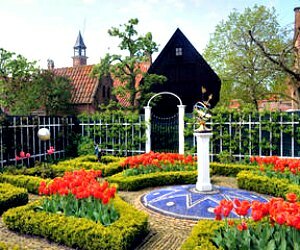 If you opt for the slightly longer tour, you'll also be able to visit the museum or fish auction in Volendam. These day trips from Amsterdam will show you the best Netherlands has to offer. From Amsterdam, travel aboard a comfortable coach to visit Rotterdam to see the unique eclectic buildings the city is known for. Enjoy beautiful views of the city from the Euromast tower at the height of 185 meters. Visit Delftse to see the famous Delft pottery makers, famous throughout the world. You will then continue to The Hague where you'll be able to visit many attractions like the House of Parliament. On the last stop of the trip, you'll be taken to Madurodam, the famous miniature town known for its exquisite models of all the famous attractions of Holland. The tour includes a professional guide as well as all entry fees. In these SUPER SAVER day trips from Amsterdam, you'll be able to combine three of the top attractions in the Dutch countryside. 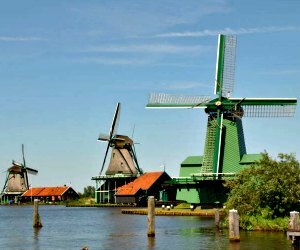 Travel by a coach and drive through beautiful landscapes to explore Zaanse Schans to see the famous Dutch windmills. You'll also be able to visit a local shoemaker to see how clogs are made. Continue on to the traditional fishing villages of Marken and Volendam where you'll be able to see the traditional wooden houses, locals dressed in colorful traditional clothing and see how cheese is traditionally made. 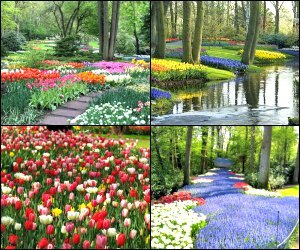 To end the day, visit the famous Keukenhof Gardens to see millions of beautiful flowers and bulbs in bloom. A professional guide will provide you interesting information and historic facts about each place you visit. 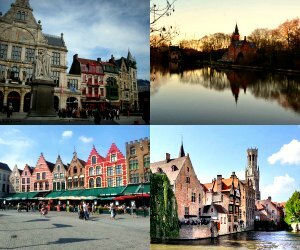 On the full-day Brudges day trips from Amsterdam, you'll be able to travel by a comfortable coach from Amsterdam to Bruges with a professional guide to visit some of the top highlights of the city. The guide will provide an overview of the city. You'll then be able to spend 6 hours exploring the city on your own. Bruges has many attractions and charming neighborhoods to explore. Visit the white houses of Begijnhof and the Heilig-Bloedbasiliek church that houses Christ's blood in a vial. The city's famous Burg and Markt squares are lined with beautiful buildings while there are canals throughout the city to explore. Groeningemuseum is another popular attraction with its collection of paintings from the 14th century. After exploring the city, the coach will take you back to Amsterdam. On these half-day long day trips from Amsterdam, you'll be able to visit Alkmaar, a historic village known for its traditional Dutch markets. Visit the cheese market to see locals dressed in traditional costumes. See how bidders buy cheese in this traditional market. Your professional guide will then take you for a walking tour of the village where you'll learn more about the village and its attractions. Next, drive to Schermerhorn, a beautiful village known for its old windmills, perfect opportunity for beautiful photographs. You will be able to explore the inside of a traditional windmill before returning back to Amsterdam. These half day long day trips from Amsterdam include the admission costs for the attractions, a professional guide and travel by a coach or a bus. This day trip starts in Amsterdam where you'll board a coach and drive through the beautiful countryside before you reach Brussels. Visit the Atomium for photo opportunities before heading to the visit all the main attractions in the city as the guide provides a complete narration about the history and importance of each attraction. 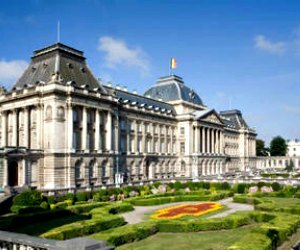 The Brussels day trips from Amsterdam will include the National Basilica, Royal Palace, Chinese Pavilion and the Japanese Tower. A walking tour follows the bus tour where the guide will take you to explore the beautiful guild houses, city hall, Mannekin Pis statue and the popular UNESCO market square. The tour includes a visit to a chocolate store to taste Belgian chocolates. You'll also have three hours to explore the city on your own, visit stores and shop. These are all-inclusive day trips from Amsterdam - enjoy a scenic drive where you'll be able to view the beautiful countryside on the way to Marken. This is a traditional fishing village where you'll enjoy a walking tour to learn about the village's history and visit a shoemaker to see how clogs are made. You'll then head to Volendam by boat where you'll enjoy pastries and coffee while enjoy the view of the lake. In Volendam you'll be able to explore the fishing village on your own before taking a lunch break. Lunch includes three courses of a vegetarian, meat or fish meal. 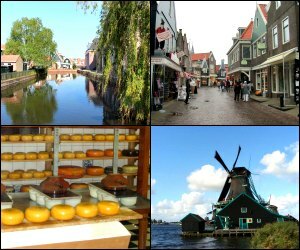 The next stop on the trip is Edam, known for its cheese. Visit a cheese shop for cheese tasting. The trip ends with a visit to the beautiful windmills in Zaanse Schans. Designed for small groups, this tour starts in Amsterdam where you'll be travelling by an air-conditioned minibus. You will visit famous Zaanse Schans windmills that are the necessary part of the Holland image. Then you will see small fishing villages and cheese makers in their home based businesses. Enjoy a cheese tasting session and take a tour to watch wooden shoes making. There are plenty of outdoor as well as indoor displays along with a guided tour. Sample smoked fish in the outdoor village. The tour ends with watching a movie about Holland. Board an air-conditioned coach in Amsterdam and drive through the beautiful countryside to visit the town of Delft. Here you'll be able to visit Delftse Pauw, known all over the world for creating the famous blue and white Delft pottery. From there, you'll continue to visit The Hague, Netherland's former capital. Here you'll be able to view many famous attractions like the Binnenhof, Peace Palace and the Houses of Parliament. The next stop of these fabulous day trips from Amsterdam is Madurodam, a famous miniature town that showcases a scaled version of Holland. It includes Amsterdam's canal houses, Delta Works, cheese market and much more. It is also home to the largest miniature railway in the world. Pass through Scheveningen seaside resort and beautiful beaches on your way back. 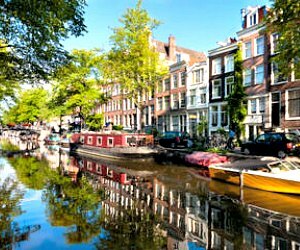 This full-day Amsterdam tour includes some of the most iconic attractions of Holland in one package. Start with a trip to Marken and Voldendam. These beautiful fishing villages are very traditional featuring wooden houses. Visit a clog maker to see how these shoes are made. You'll also visit a cheese maker to see how traditional Dutch cheese is made. You will then be able to visit Zaanse Schans and its beautiful windmills. Next you'll be able to visit Delft, a beautiful city known for its blue and white pottery. You'll then visit The Hague to explore the medieval center. 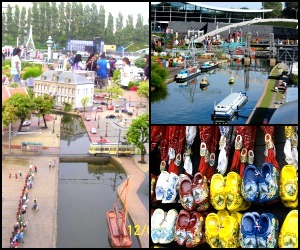 The last stop on these Holland day trips from Amsterdam is to Madurodam, a miniature town that is famous throughout the world for its intricate and perfect representations. The tour starts with a sightseeing tour of Amsterdam in the morning. Travel by bus as your professional guide will take you to some of the best attractions of Amsterdam. The city sightseeing tour will take you to see some of the famous historic buildings of the city like the the canals, Red Light District, Skinny Bridge, Van Gogh Museum, Albert Cuyp Market and the Royal Palace. After lunch, you'll visit Delft to see the famous pottery maker creating the blue and white Dutch pottery. With these comprehensive day trips from Amsterdam you'll also be able to visit many churches in the town including the Old Church and Wallon Church. 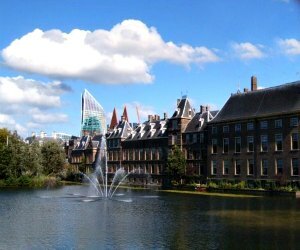 Continue on to The Hague where you'll be able to see some top attractions like the Binnenhof, Peace Palace and the Houses of Parliament. These guided day trips from Amsterdam take you to two of the biggest attractions of Belgium. From Amsterdam, an air-conditioned coach will take you to Brussels and Antwerp. In Antwerp you will be able to explore some of the beautiful architecture of the city and its top highlights like the cathedral and the Market Square. 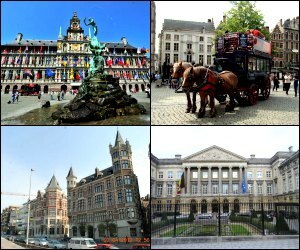 Next, you'll be taken to Brussels where you will have three hours to tour the European Commission buildings, the beautiful Royal Palace, the Manneken Pis statue and the historical town center. Explore the local shops for Belgian chocolates and waffles. On the way you'll drive through the beautiful countryside. A professional guide will provide you comprehensive information on all the places you visit during the trip.